Father is someone who teaches you a lot about the life and tries his best to keep company with you. You may want to show how much he means to you. So make a special YouTube channel art to express your deep feelings. This YouTube banner templates from FotoJet may arouse your family affection and give you more inspiration. The photo of a father taking his son is so heartwarming. 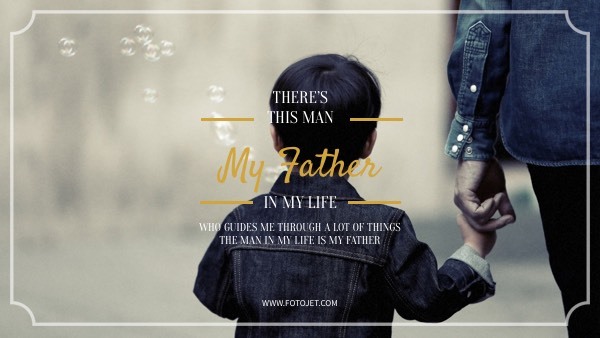 You can also upload your own photos and add sweet words to your father on the template.